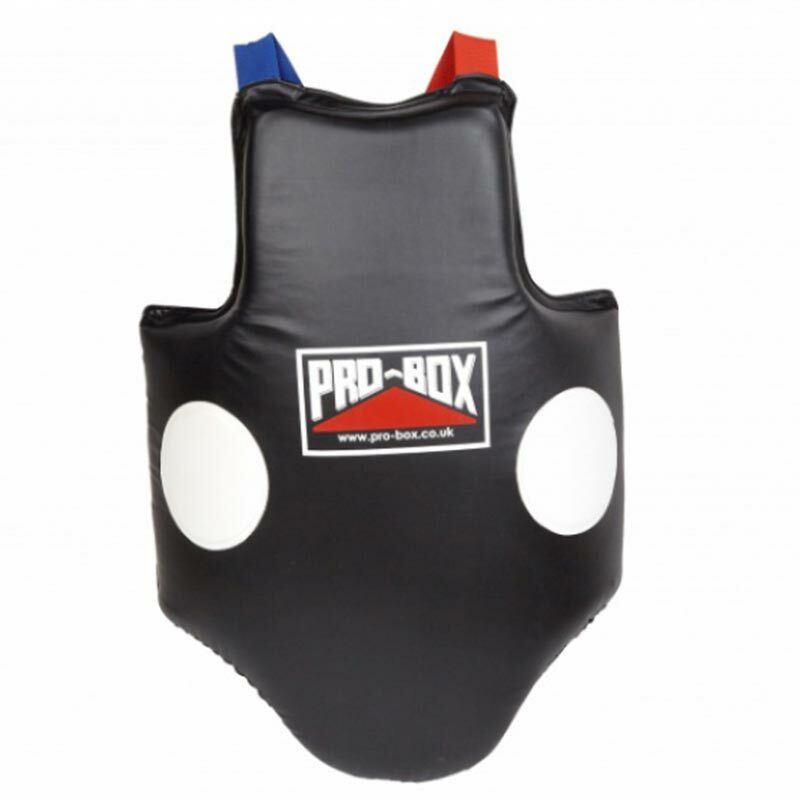 The Pro Box Heavy Hitter Coaches Body Protector has been created and designed to offer the ultimate protection which hugs the body of the trainer, ensuring the punches do not penetrate the guard. Universal fitting constructed with extra thick layered super shock absorbing padded inner, with heavy duty finest quality outer. Utilising a colour coded strap system combined with reinforced stitching and studs results in an easy, secure and comfortable fitting.